UMX Key Holder Wrist Lanyards With Pre-Printed Sunflower, Reflective, Red-White-Blue Stripes, Hawaiian, Desert Camo and Woven Denim Patterns. 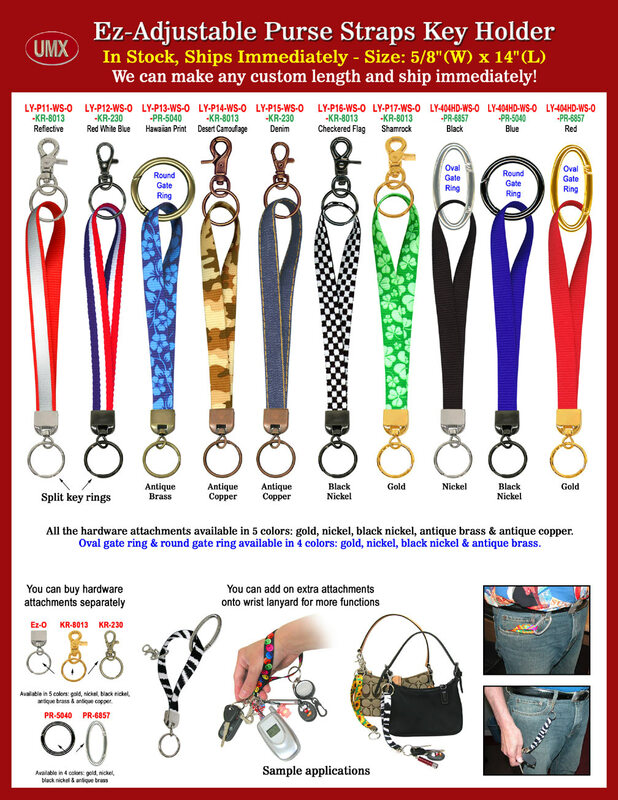 Cool and unique combination of key holder lanyards come with a great selection of lanyard strap colors and color of hardware attachment. You can add any listed heavy duty snap hooks or gate key rings easily. There are more than 30 style of printed or plain color straps, and 30 style of hardware you can choose. They are all in stock, we can make it for you right away with any combination of hardware attachment, and any custom length or color of straps. If you are going to get a great looking and multifunction key holder lanyards then that's the right place for you ! You are viewing Lanyards > Wrist > Great Plain colors and Pre-Printed Sunflower, Reflective, Red-White-Blue Stripes, Hawaiian, Desert Camo and Woven Denim Key Holders.